Last week, the 76ers were in Detroit for a preseason game against the Pistons. 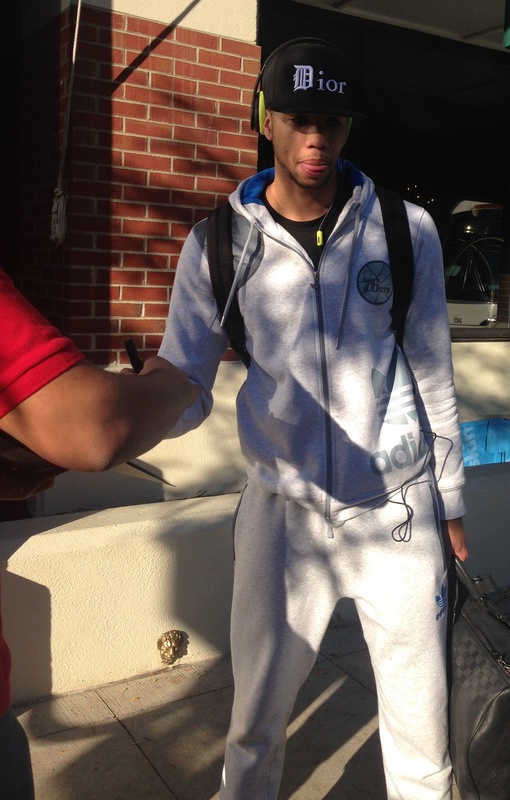 A few hours before the contest, Philly guard and 2013-2014 Rookie of the Year Michael Carter-Williams signed autographs outside the team hotel. The scene is visible via the above iFolloSports.com original photo. Carter-Williams has been dealing with a shoulder injury, causing him to miss every preseason and regular season game thus far. The 76ers hope to have Carter-Williams back sometime in mid-November. Fans of the Syracuse alum can also check out this iFolloSports.com original video of the Massachusetts native working on his game, prior to a preseason contest at Target Center in Minneapolis, against the Timberwolves.